Bitstamp is a digital currency exchange that supports both crypto-to-crypto trading and crypto-to-fiat trading. The exchange has been established since 2011 giving it a long history in the cryptocurrency industry. 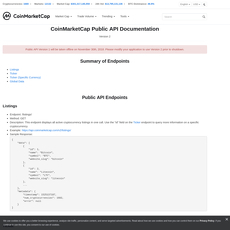 Bitstamp API documentation is available on their website. 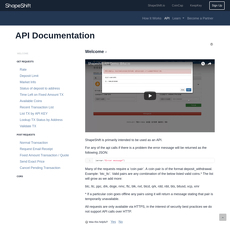 The API can be used by users who want to create exchange services and applications. 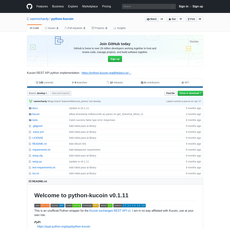 It can also be used by traders when programming trading algorithms and bots. For users who building trading applications, they can program the applications to put in certain orders when certain parameters are met. 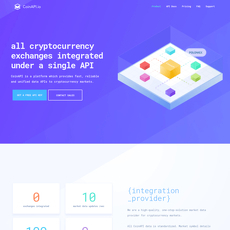 With support for a number of different fiat currencies, the data through the API can be valuable to those dealing with cryptocurrency to fiat exchange rates. There are a number of different API for Bitstamp. The HTTP API has a request limit of 600 per minute. Exceeding this limit will result in the users IP address being banned by Bitstamp. Users who need real-time data need to use the WebSocket API which operates over TCP. There is also the Bitstamp Fix Gateway which supports only messages. There is extensive documentation on each on the website. There have been some issues voiced by online users reporting that the API retrieves the incorrect data which could be subject to a caching issue. There have also been complaints that the documentation does not cover all the relevant information.